If you have followed Everest for years, then 7 Summits Club is a familiar name. Run by long-time Everest guide Alex Abramov, he has made his base camp on the Tibet side a place of fun and hospitality. His May Day parties are legendary. Well, now he has upped the luxury ante significantly. With 40 people, yes you read that right, 40! on his team, each member will get their own private two-room “cabanna”. There is an outer room suitable for private blogging, surfing or whatever and a bedroom, complete with an almost traditional bed. Note in the picture below, the bed even comes with a down duvet. By the way, the tents have heaters … and carpets … and, well you get the idea. 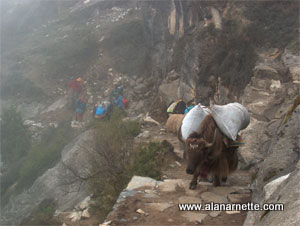 Remember that on the Tibet side, base camp is reached by truck, so no yaks or porters are needed carry all these luxuries. In years past, 7 Summits Club has had a pool table, ping pong table, a full bar and is the center of social life at camp. In another nod to luxury for the pampered climbers, Alex is using supplemental oxygen like never before. Every time a climber reaches a new altitude, they sleep on supplemental oxygen that night. This even includes Interim camp at 20300′ – 6187m. They did this technique in 2017, last year, and felt it made a huge different in their acclimatization program. 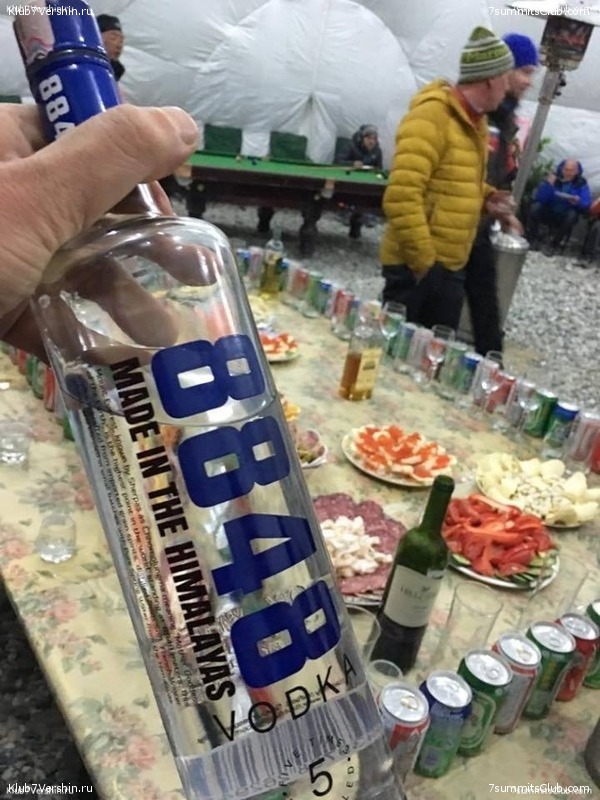 But perhaps it was the local vodka that really made the difference! Russell Brice used to have the reputation for the “best” camp at base camp as you can read in this 2012 article I did on it, but it looks like he will have to up his game to compete against his old friend! I have no objection to being warm, comfortable and well fed. Now, if they could only bring my heated bedroom to high camp! Climbers will suffer enough at the upper camp[s and during the climb so finding some luxury at base camp – if you can afford it – makes a lot of sense (and apparently, dollars:-) ). There is obviously a memberele for this sort of experience, and it will probably mean that the climbers won’t suffer as many debilitating experiences or stresses while they are training for the summit. It will be interesting to see how much of a different it will make in successful summits and descents. This is remarkable, but probably inevitable. I can’t decide if I’m appalled or resigned to this turn of affairs. Alan, would you please inquire as to the cost of one t-shirt? If it is less than USD $2,000, I’ll take two. ? I bet you can get a deal if you want 3!